Sphero, perhaps now best known for its adorable remote control BB-8, has always made fun toys, but they’ve had one big caveat: they’re expensive. 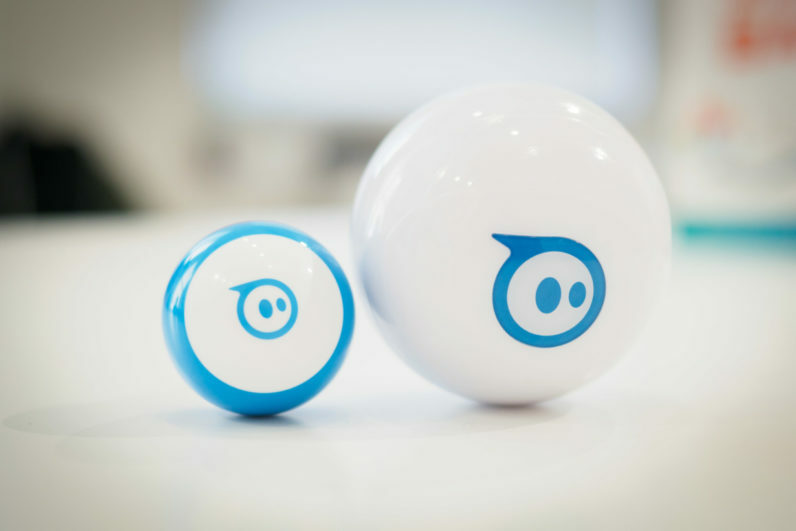 The Sphero Mini changes that – and it might just be my favorite Sphero yet. It’s about the size of a ping pong ball and costs just $50. That alone is a good enough pitch if you’re familiar with the original Sphero, particularly since the mini manages to replicate virtually all the same functionality (and in some ways improve on it). You still control it via an app, and it’s as fun as ever. There are four different ways of controlling it. Joy Stick is the traditional method, and probably the most accurate. Tilt uses your gyroscope, while slingshot gives the Mini an instant burst of speed that’s ideal for playing with adorable little bowling pins included with the package. There’s also a set of cones for setting up a mini obstacle course. Then there’s Face Drive, which is ridiculously difficult and hilarious. It uses your face to control movement with tilting for direction and a smile or frown for controlling speed. The point isn’t actually controlling the Sphero well, but making all your friends laugh at you while you make goofy faces to try and get the thing to move where you want it to. There are also a few minigames where you can use the Sphero as a controller by rotating it in your hand. There’s a Galaga-ish spaceship shooting game, and another one that’s kind of like a 360 degree brick breaker. And like the larger Sphero, the mini can be used with the Spark app for teaching kids to code. Just about the only thing the Mini doesn’t do as well as the larger model seems to be durability, because the shell comes apart, but even that has a major benefit – the shells are easily interchangeable for the first time in a Sphero product. There’s a rainbow of colors available at launch, and you can expect to see branded shells show up in the future too. And while the inductive charging on other models is cool, the Mini’s microUSB port hidden under the shells is surely more convenient. The Sphero Mini available online today and at a variety of brick-and-mortar retailers. So yeah, it’s a cheaper Sphero that fits in your pocket. What’s not to like?